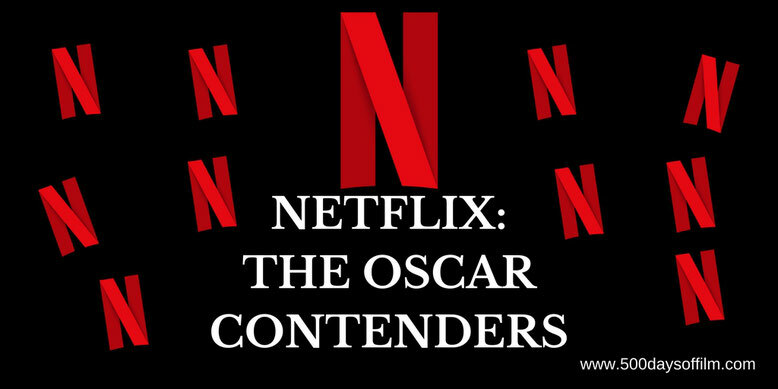 Netflix has an exciting crop of Oscar nominations this year. The streaming service has bagged seven Academy nods across four powerful films. Mudbound has been nominated for adapted screenplay, cinematography (for Rachel Morrison - the first woman to be nominated in this category), Original Song and Best Supporting Actress for Mary J. Blige. Meanwhile, Icarus and Strong Island have both been nominated for Best Documentary Feature and Heroin(e) has been nominated in the category of Best Documentary Short. Synopsis: Two Mississippi families - one black, one white - confront the brutal realities of prejudice, farming and friendship in a divided World War II era. Why You Should Watch: A powerful story performed by a brilliant ensemble cast and told by a masterful filmmaker and superb cinematographer. Synopsis: An American filmmaker and cyclist unwittingly wades into a global scandal when a Russian scientist leaks shocking details of a vast doping conspiracy. Why You Should Watch: A fascinating documentary that features incredible access to those at the centre of a truly shocking conspiracy. Synopsis: The forces of family, grief and racial injustice converge in this powerful documentary exploring the murder of filmmaker Yance Ford's brother. Why You Should Watch: From the first moments of Yance Ford’s film you will be hooked by the urgency of this documentary - what follows is a powerful examination of race and justice. Synopsis: This documentary follows three women - a fire chief, a judge and a street missionary - as they battle West Virginia's devastating opioid epidemic. Why You Should Watch: This documentary short (it is only 39 minutes long) is an insightful look at the challenges faced by those on the front line fighting against a drug epidemic. If I were in charge of awards type things, I would also acknowledge the wonderful work found in a number of other Netflix Original Films. For example, I was disappointed that Angelina Jolie’s stunning film First They Killed My Father - based on Loung Ung’s memoir about her experience during the time of the Khmer Rouge - was not nominated for Best Foreign Language Film. I also loved Noah Baumbach’s The Meyerowitz Stories (New & Selected). Baumbach’s direction is superb and his script is whip smart. If I were in charge, I would give Adam Sandler some recognition for his performance in this movie - if only to encourage him to do more of the same (and less of that other stuff). In addition, I would give an award to Lily Collins for her portrayal of a woman struggling with an eating disorder in To The Bone. I would also recognise Carla Gugino’s stunning performance in Mike Flanagan’s Gerard’s Game. Finally, please let’s give Bong Joon Ho’s Okja some love. This film deserves a visual effects nod at least. Plus I’m tempted to give an award to Jake Gyllenhaal - both because of his bonkers performance and also because the Academy seem determined to ignore him time and time again. Have you seen any of these Netflix movies? If so, what did you think of them? Are there any other awards-worthy Netflix Original Films that you would like to champion? Let me know in the comments section below or via Facebook or Twitter (@500DaysOfFilm).